Newcastle chiropractor observes a spike in neck pain. Today there are more smart devices in Australia then there are people, it has revolutionised the way we interact with the world around us. It has also given rise to some new health terms like “text neck”. A medical term that didn’t appear in any of my university textbooks fifteen years ago. That crook neck you have woken up with or stiffness towards the end of the day may well stem from that little device you spend most of your day attached to. 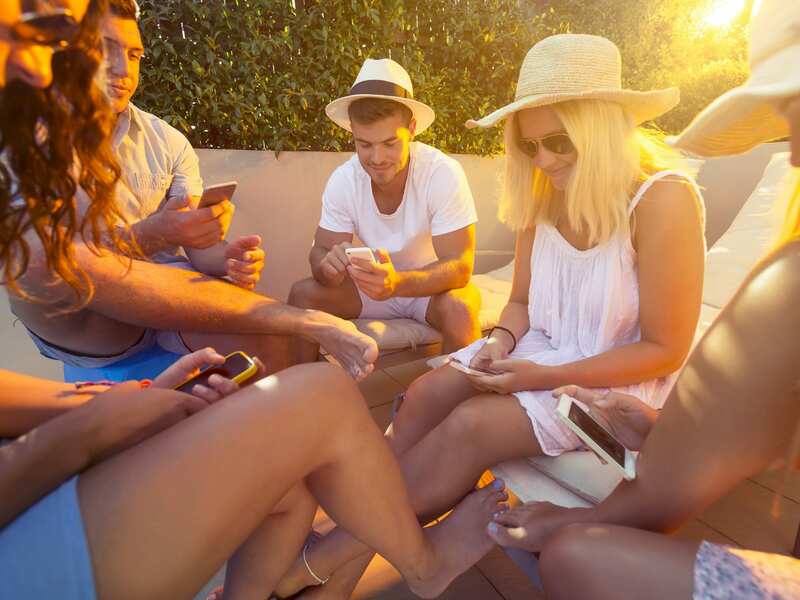 Many people are spending an average of 2 – 4 hours each day looking at their mobile devices, this adds up to an average of 700-1400 hours each year. The result is many people are imposing heavy strains on their neck and spine. Research recently published by New York spine surgeon, Dr Kenneth Hansraj provides compelling data on the implications of increased technology use on the cervical spine. As the neck bends forward and down the weight on the cervical spine begins to increase. In a normal standing position, an average adult head exerts 4.5 to 5.4 kg of pressure on the neck, but when the head tilts forwards at a 60 degree angle, the force exerted on the cervical spine is more than 27 kg. This modelling shows a significant increased load on the structures of the neck and spine. The natural curve for the neck is to bend backwards, when we look down at our devices this curve is reversed and the force put through the neck joints and nerves can be up to 5 times greater in this position. 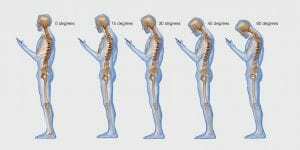 “Text neck” can lead to degenerative changes in the spinal joints, it can cause headaches, jaw pain, head, neck, shoulder and back pain. In our chiropractic centre we regularly see clients experiencing neck pain and headaches due to “text neck.” As a chiropractor in the local Newcastle area for over a decade it is certainly a presentation that is on the increase, especially in school aged children. This trend is particularly disturbing as the these symptoms should not be occurring at such a young age. Children often become so absorbed in a game or text conversation that they spend hours hunched over their devices before taking a break, all this at an age when the spine should be developing its normal spinal curves. Raise your phone closer to eye level, this way you will not need to tilt your head and neck. The shoulders should also stay backwards to avoid rounding. Take breaks every twenty minutes, set an alarm so you do not forget. Stretch your spine regularly and change positions to alleviate stress on your neck and spine. previous post: So you have slipped a disc?